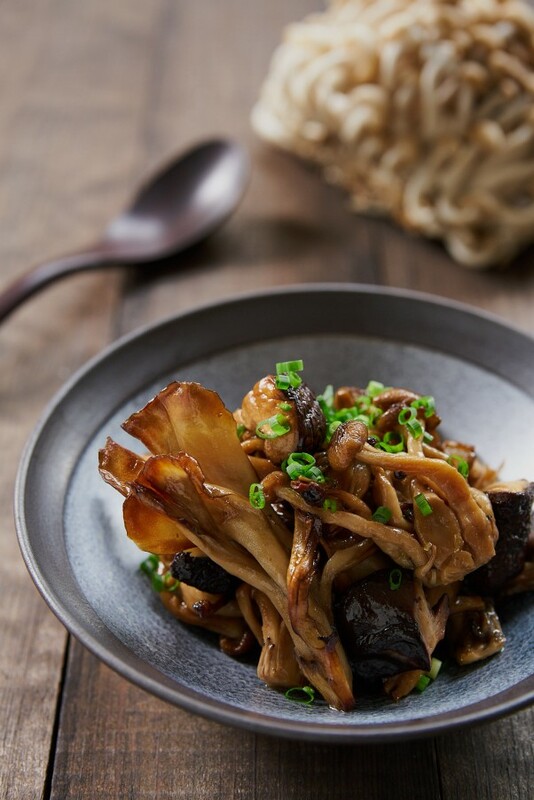 These Yuzu Marinated Japanese mushrooms make for a delightful side or a great tapa to pair with your favorite sake. The mushrooms are simple cleaned and roasted before being tossed in a bright citrusy marinade made with yuzu juice and yuzu kosho. Yuzu is a Japanese citrus that has a flavor that’s somewhere between mandarins and meyer lemons with a hint of grapefruit. 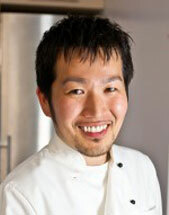 When green, the zests are used to make a spicy condiment called yuzu kosho, which literally means “yuzu pepper”. They turn yellow as they ripen, at which point they can be juiced. It’s a little hard to find fresh yuzu in the US, but you can get both the juice and yuzu kosho bottled online, or at a Japanese grocery store. Roasting the mushrooms, not only creates a boatload of umami through the Maillard Reaction, it also evaporates any excess liquid in the mushrooms, allowing them to soak up the marinade like a sponge. I used a combination of shiitake, maitake(hen of the woods) and shimejis(beech mushrooms), because it’s what I had on hand, but eryngi (king trumpet) and enoki mushrooms would work as well. Preheat the oven to 425 degrees F. Line a baking sheet with foil or parchment paper for easy cleanup. 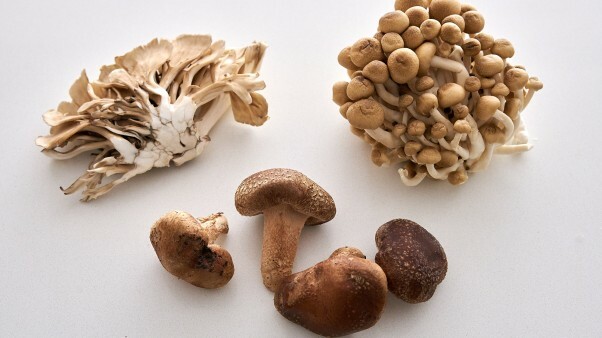 Trim the tough part of the stems off the mushrooms and then cut big mushrooms like shiitakes into quarters and segment clustered mushrooms like maitake and shimeji into clumps. 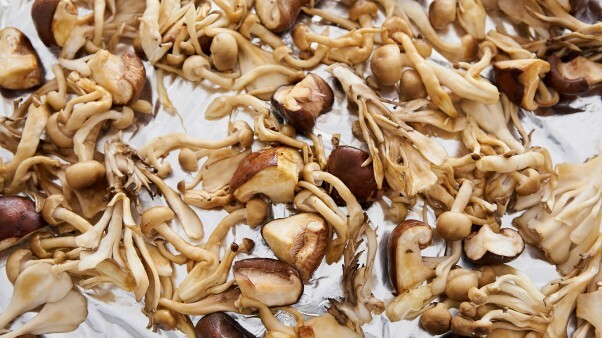 Toss the mushrooms with 2 tablespoons of olive oil and 1 tablespoon of soy sauce to coat evenly. 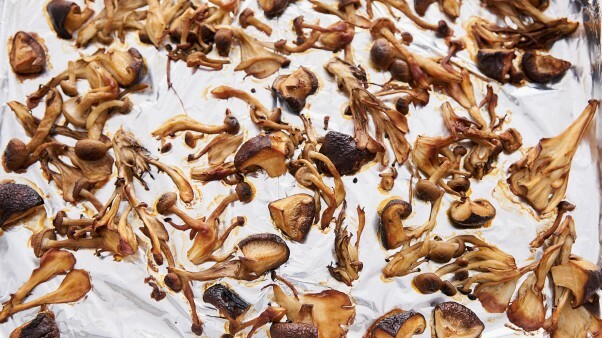 Spread the mushrooms out on your prepared baking sheet and bake until golden brown but not crisp (about 10-15 minutes). To make the marinade, whisk 2 tablespoons of olive oil, the yuzu juice, rice vinegar, honey, yuzu kosho and salt together in a small bowl. When the mushrooms are done, transfer them to a bowl and then toss them with the marinade. Garnish with chives to serve.